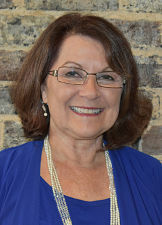 Carol joined our firm in 2018 as an office assistant and moved into a Client Service Associate role. She provides support to our financial advisors, processes client applications and assists with other client related requests. Her prior administrative and customer service experience is a valued asset to our team. A native born Floridian, Carol moved to Madisonville over ten years ago. Although she misses the beach, she loves the Tennessee mountains and abundance of natural wildlife. Carol also enjoys antique shopping and reading. She has two married children, two amazing grandchildren and her loveable pup, Radar.